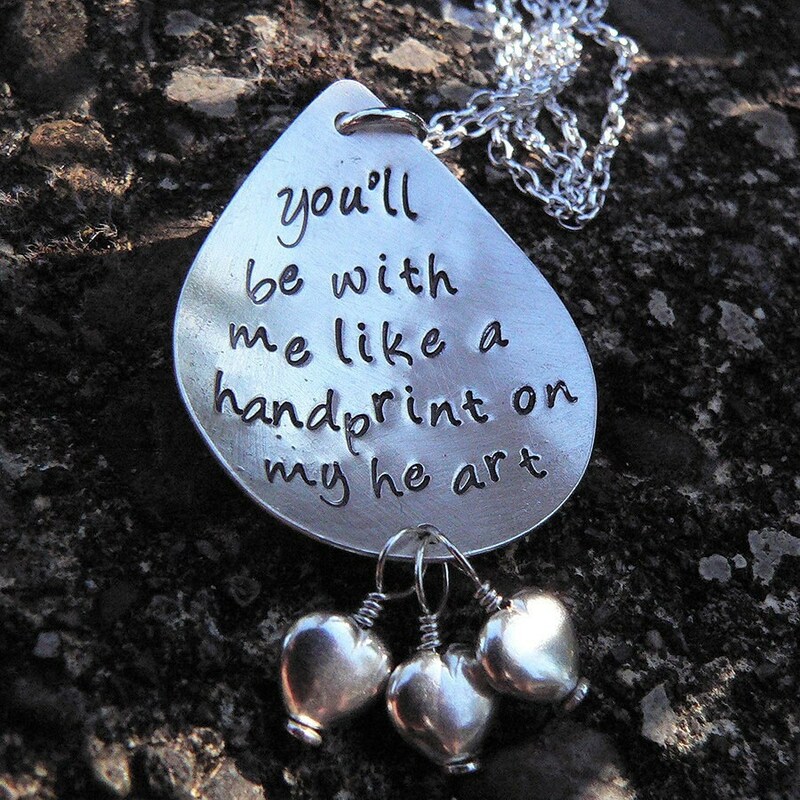 "You'll be with me like a handprint on my heart"
Keep them close to your heart with this necklace of hand-forged, hand-stamped sterling silver single teardrop. The pendant is about 1.25" x 1". 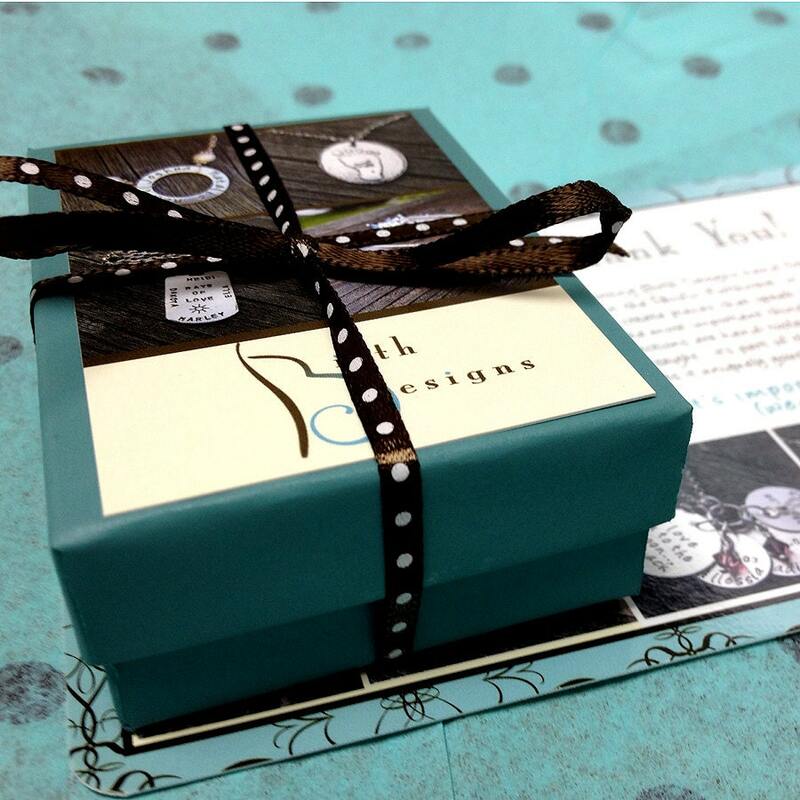 Have it stamped with this phrase, or with your own (check with us to make sure it will fit). 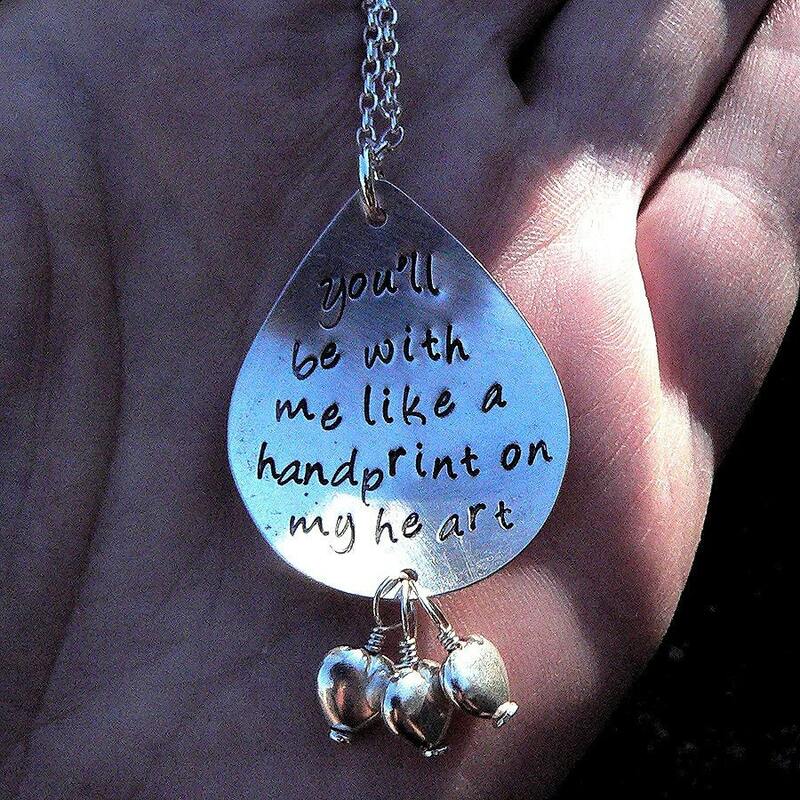 Please contact us if you are not sure if your remembrance phrase will fit - we'll work with you to get it just right. Or of course, just order it as shown! 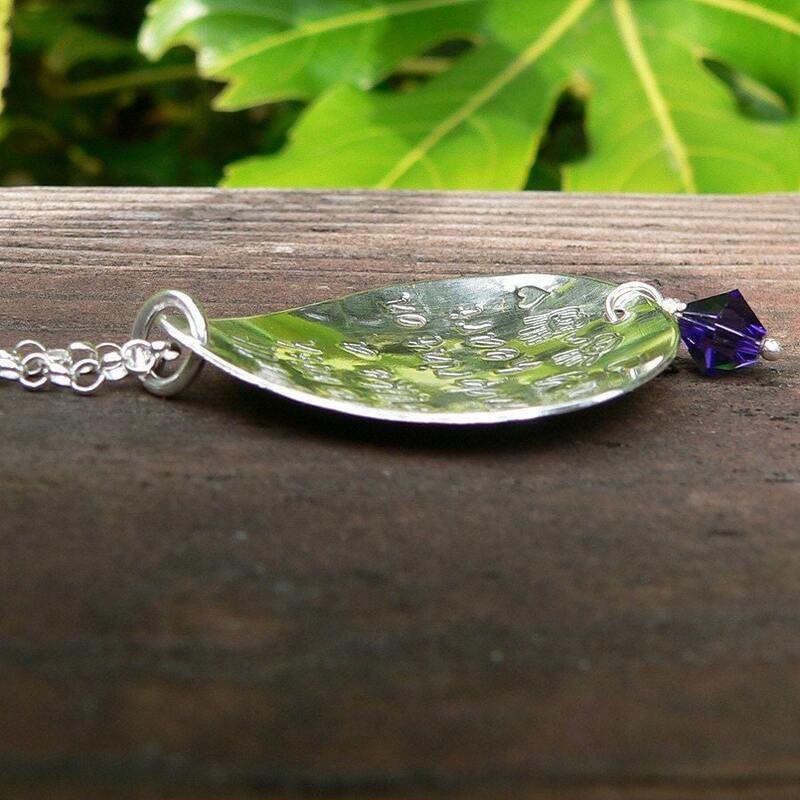 The stone or Swarovski crystal of your choice can be suspended below. A sterling heart is also available. 5. 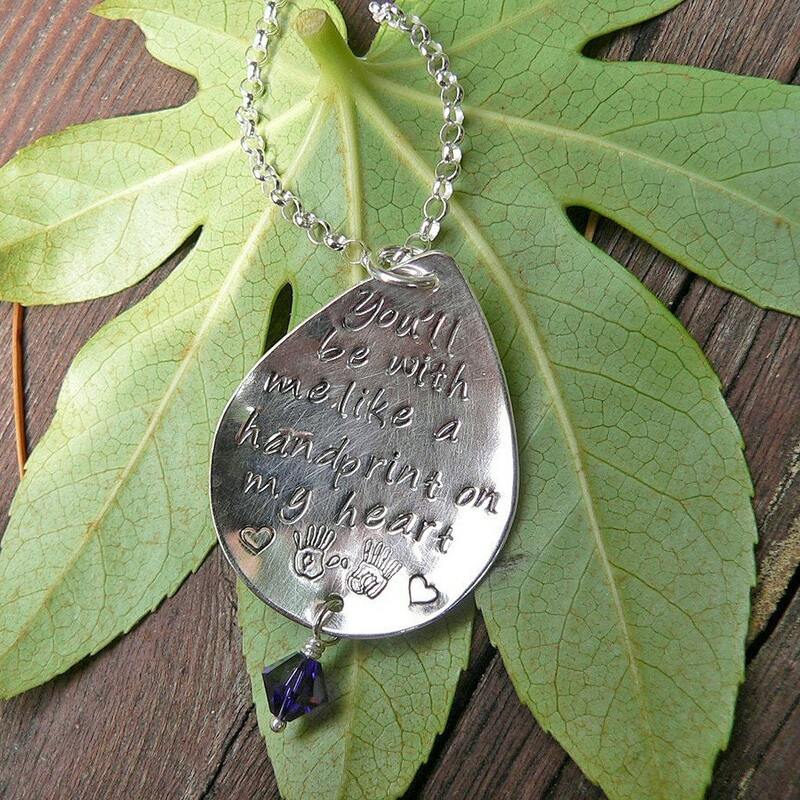 Let me know the CHARM you'd like - a Swarovski Crystal of any color, or a sterling silver heart. This price includes ONE charm. More available in my A La Carte Section.